If you haven’t read our ‘What is Sensory Processing Disorder?’ page we recommend that you do before continuing. This page gives background to sensory issues. It also describes the three areas of sensory processing. Many children and adults experience sensory issues. 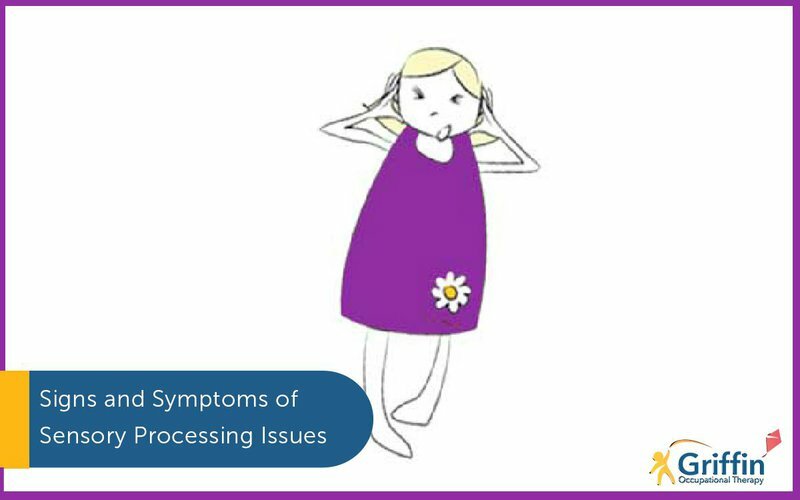 The term commonly used to describe these issues is ‘Sensory Processing Disorder’ (SPD). People who show signs of sensory issues process sensory information differently to those who do not. Their brains do not connect the sensory messages they receive from their body in the same way as others. This creates a different experience and sometimes challenges. It is why their response to sensory information is not always what you might expect. You must always remember that their responses are not right or wrong. They are just different from your own. This post explores the common signs of sensory issues or symptoms of SPD in more depth and provides three useful checklists. What are the common signs of sensory issues? Lucy Miller (2014) describes these symptoms under the headings of modulation, sensory-based movement and discrimination. 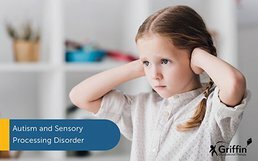 Children (and adults) with Sensory Processing Disorder could experience a combination of sensory processing challenges or may also only have sensory issues in one area. How could sensory issues present? Signs of sensory issues vary depending on which sensory system is affected. This is why Sensory Processing Disorder can look very different from one child (or adult) to the next. Each child’s (or adult’s) brain is connecting the sensory messages differently. This, therefore, results in different reactions and behaviours. We must always remember that behaviour is only the end product. It is a clue to us that the child or adult may be finding the sensory information difficult to manage or maybe coordinate. Brushing her hair; cutting her hair and nails; wearing socks: Kayla hates them all! Even dressing causes distress. Many fabrics are itchy. The collar on her school shirt irritates her. These can be signs of sensory issues. When she was younger, loud sounds felt overwhelming too. Unexpected touch also alarms her. Once, she hit a child who brushed past her in the playground. Now she always tries to go to the sick room at lunch to avoid feeling overwhelmed by noise and touch. Another thing Kayla hates is swimming. Putting her head under water is scary. Jumping in is just terrifying! In fact, learning any new activity is tough for Kayla because planning and organising herself is difficult. Kayla’s brain is interpreting the touch input from brushing her hair and cutting her nails more intensely (and potentially more painfully) than other people do. She finds certain noises unbearable. This stops her from being able to participate at lunchtime. It seems that Kayla’s brain is interpreting sound more intensely than others too. Kayla presents as having difficulty with modulating touch and noise sensory inputs. Therefore, it is likely she has over-responsivity (sensitivity) in both touch and hearing. There may also be some sensitivity with her vestibular system. She finds learning new activities hard and struggles to plan and organise. Some sensory messages from her body aren’t connecting smoothly to allow her to join in. This could mean she also has dyspraxia. Like Kayla, Harry dislikes loud sounds. If the projector is on in his classroom, it’s all he can focus on. The humming sound it makes means it’s impossible for him to concentrate on his work. Sluggish to get going during PE, he often trips up and loses balance. Tiring really, he always comes last. Breaking things accidentally at school and home is normal for Harry. When he plays with his younger sister, his mother is always telling him to ‘be more gentle’. Harry also processes sensory information differently to others. These sensory processing issues suggest that he also has difficulty with sensory modulation. Harry finds noises, including background noises, harder to ignore. His brain just seems to keep focusing on them rather than what he should be thinking about. For this reason, it seems likely that he has some sound sensitivity. Harry frequently gets in trouble for being too rough in play and breaking things. Losing balance is common. His vestibular and proprioceptive senses need more sensory input for him to understand what’s going on with his body. These signs of sensory issues suggest that, unlike Kayla, his vestibular and proprioceptive senses are under-responsive and that he has difficulties discriminating proprioceptive input. Furthermore, Harry appears to have poor postural control too. It is really common for children to have challenges in more than one area of their sensory processing. As we outlined on the What is SPD? page, unfortunately, SPD does not yet formally exist as a stand-alone diagnosis. Many of the challenges and behaviours listed in these checklists occur alongside other conditions. It is important to remember every child (or adult) who experiences sensory issues is different. There is no one size fits all. This also means there is not one treatment strategy that fits all. It is hoped that these checklists provide a starting point for you to consider if a behaviour might be linked to an underlying sensory issue. We always recommend you seek out extra support from professionals rather than using these lists to self-diagnose. In addition, we recommend you look at the additional resources and references below for more information. Shows increased sensitivity to certain sensations, this could include more than one sense. Is aggressive or impulsive when overwhelmed by sensory stimulation. Shuts down when there is too much sensory input or avoiding places with a lot of sensory information. Demonstrates excessive caution or being afraid to try new things. This is usually linked to worry around the sensory experiences this new thing could include. Only eats familiar foods (taste). Dislikes fragrances from perfume or bath products (smell). Likes wearing hats or caps or sunglasses (vision). Dislikes bright lights or sunshine (blinks squints closes eyes) (vision). Startle easily to unexpected sounds (hearing). Is easily distracted by background noises such as a lawnmower outside, an air conditioner, a refrigerator or buzz from fluorescent lights (hearing). Dislikes having messy hands (touch). Struggles with toe and fingernail cutting or haircuts (touch). Fussy with food textures (touch). Is irritated by certain clothing textures, labels and seams and socks avoids new clothes (touch). Avoids playing on swings and slides (either now or when younger) (vestibular). Seems afraid of riding in elevators or on escalators (vest). Becomes travel sick or dizzy easily (vest). 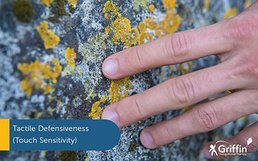 If you want to learn more about sensitivity with the touch sense we recommend our post – What is Tactile Defensiveness? Another sense that children and adults commonly have sensitivity with is their hearing. You can learn more about this in our post – Auditory Sensitivity: 3 Things You Should Know. Is more passive, quiet, or withdrawn. Finds it harder to engage in conversation or other social interactions. Is excessively slower to respond to directions or complete assignments. Appears to lack the inner drive to be involved in the world around themselves (e.g. uninterested in exploring games or objects). This can be because their sensory systems need a higher intensity of sensory information to respond. Doesn’t notice or care whether food is spicy or bland (taste). Struggles to distinguish between different smells (smell). Does not respond when his or her name is called (hearing). May not hear sounds in the environment (hearing). Doesn’t notice if hands or face are messy or dirty (touch). Doesn’t cry when seriously hurt and isn’t bothered by minor injuries (touch). Uses too much force, and accidentally break things (proprioception). Described as having ‘weak muscles’ and may use too little pressure (prop). Is hyperactive and constantly on the go. Can be more intense or demanding, or harder to calm than others. Seeks out extra vestibularsensory input and therefore, may create situations others perceive as bad or dangerous. Seeks out extra touch and proprioceptive sensory inputs so can appear excessively affectionate. Finds it difficult so might avoid puzzles or other visual games. Can be frustration when unable to separate visual or auditory sensory information. Requires directions to be repeated. Might need for more time than other children to perform assigned tasks. Has difficulty when learning exercise steps or routines. Shows difficulty with hopping, jumping, skipping or running compared to same-aged peers. Finds drawing, colouring or copying more challenging. Experiences difficulty with cutting and pasting. Can also be frustrated when unable to complete tasks due to poor motor skills. If you would like to learn more about dyspraxia you can read our post – Dyspraxia – Myths Explained. You can also find more information about the signs of dyspraxia on our page – Is My Child Dyspraxic? Appears weaker than other children his or her age. Shows poor balance during motor activities. Has difficulty maintaining posture at the desk/table. Tires easily or appears tired most of the time. Finds it difficult to hold his or own in competitive games like tug of war. How can I get help if I think myself or my child has Sensory Processing Disorder? The best placed professional to help identify if your child has sensory processing challenges is an occupational therapist who has additional training in sensory integration. Where can I find more information about signs of sensory issues or the symptoms of SPD? Please see the bottom of our page ‘What is Sensory Processing?’ for a list of additional resources you may find helpful. 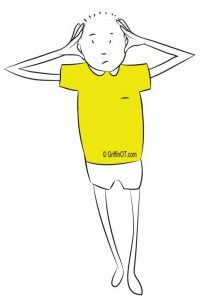 GriffinOT’s online course, ‘Sensory Processing: What’s the Fuss’, explores in further depth the sensory systems, sensory responses and strategies to help. You can find out more information on our course page here.